A while back for Christmas I attempted to get Dane and Declan one of those really awesome marble mazes to play with and hopefully build his motor skills. Unfortunately the one I chose was beyond complicated and even though it was meant for 5 and up, we struggled even as adults trying to construct this thing! 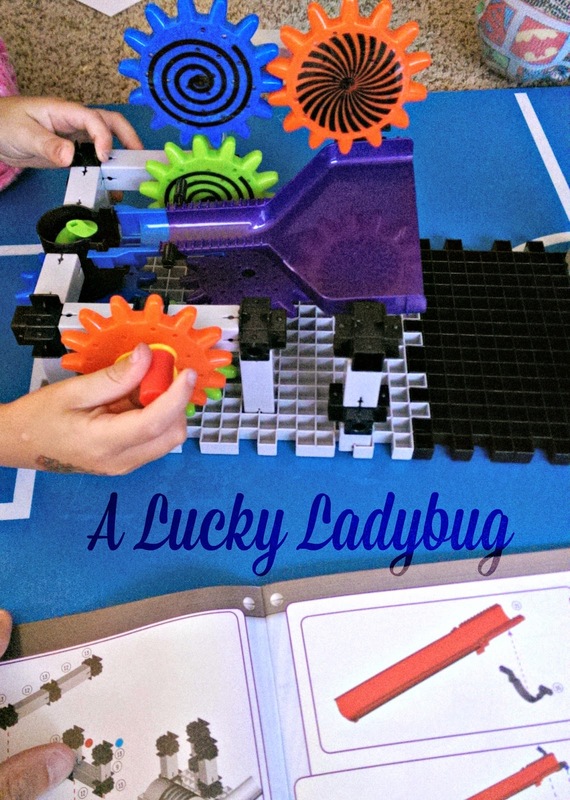 So when The Learning Journey International asked me to review the Techno Gears Marble Mania Accelerator 2.0, I was a bit hesitant but definitely interested. 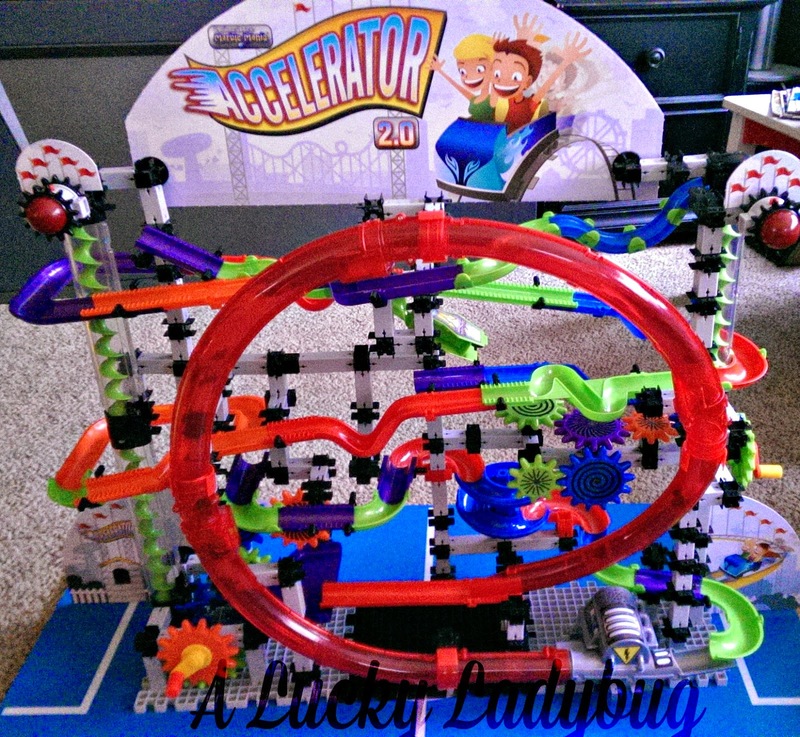 They quickly sent me over the over 400 piece Techno Gears Marble Mania Accelerator 2.0 which looked "totally awesome" to the boys but like a big hot mess to mommy (haha). The cool part about this set is that it is set up to look like a roller coaster which the boys just loved. Of course we had to open this one up the day it arrived! I do have to start out by saying this kit was absolutely ridiculously complicated to put together. It took Kevin over three hours to get set which the boys were not patient about at any point. You can see from the pictures how intricate this marble maze set actually is. 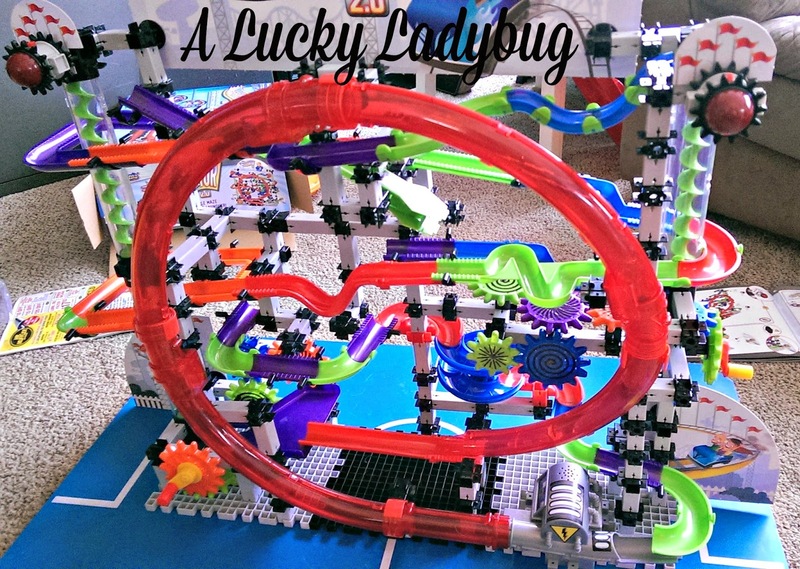 From the crank with the corkscrew that pulls the marbles up to the top of the coaster to the small motor which shoots the marbles sailing through the the loop, this is pretty B.A. The only thing we were a bit concerned by is that the motor did have an open space where the marbles would get pumped through which could potentially hurt little fingers if they were stuck in there. You can even hear me in the video telling Declan (my trouble maker) not to stick his fingers in there. Kevin at one point said to the boys, "its made for 8+" in which Dane quickly responded "well I am 6 which is practically 8, so this should work more efficiently". Ah what crazy kids I have! Recommendation: I was super happy to see that BOTH boys loved this one. 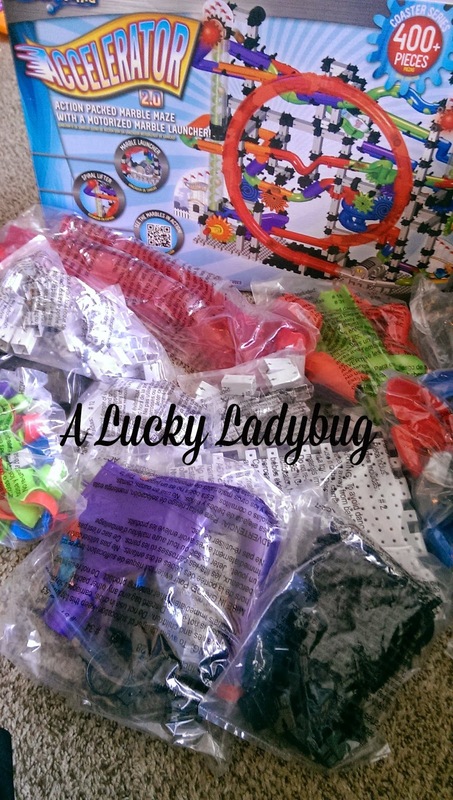 This was great toy for everyone. It kept all three kids entertained for quite some time and still going.